Ok. So, last week, I reviewed an app & titled my article “App Review Thursday”. I stated that I really didn’t review apps only on Thursday, but couldn’t think of another title. However, I may make this a habit…reviewing apps on Thursdays. Why not?? I like how apps can make things easier (or more fun) to do. I’ve shared before that my brother develops iPhone apps. 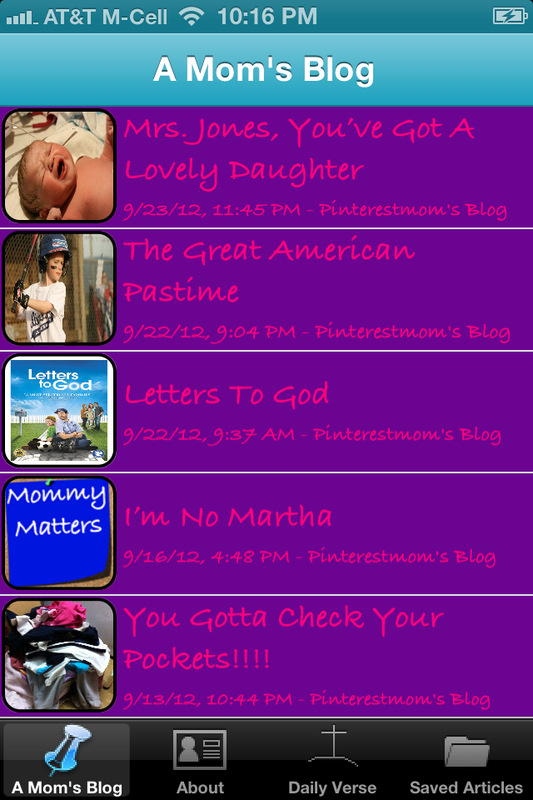 If you’re reading this via the Mommy Matters app, (available in the App Store!) you know that he does great work!! Most of the apps he has developed have been for church use. However, he has just released a very fun app…just in time for Valentine’s Day. It’s called Love Coupon Builder. Here’s the link to it for the app store. So, basically it’s a new tech-y twist on an old school idea. You could go the usual route for Valentine’s Day…flowers, candy, dinner, jewelry…well, actually usual route isn’t too bad. However, you can take it up a notch and give your loved one his/her own coupons, made by you. Making the coupon couldn’t be simpler. You just plug in the info. Who the coupon is being sent to, who it’s from, what it’s for, when it expires…boom…coupon created. You can even put a secret message in that will appear when the recipient scans the QR code. After you’ve previewed the coupon, you can send it to your significant other. You have the option to e-mail the coupon as a Pass (can be added to their Passbook on their iPhone) or simply e-mail the coupon as an image, if your significant other doesn’t have an iPhone. Here’s the coupon in the Passbook. I can see this app being great for Valentine’s Day or any other day of the year. What a great way to quickly send your loved one a note to say you’re thinking of them and love them. So, check this really cool, new app out. It’s only $0.99, so you really can’t go wrong!!! Interested in more apps my brother has developed? Check out his website here. Do not adjust your computers!!! My blog is going through some changes. 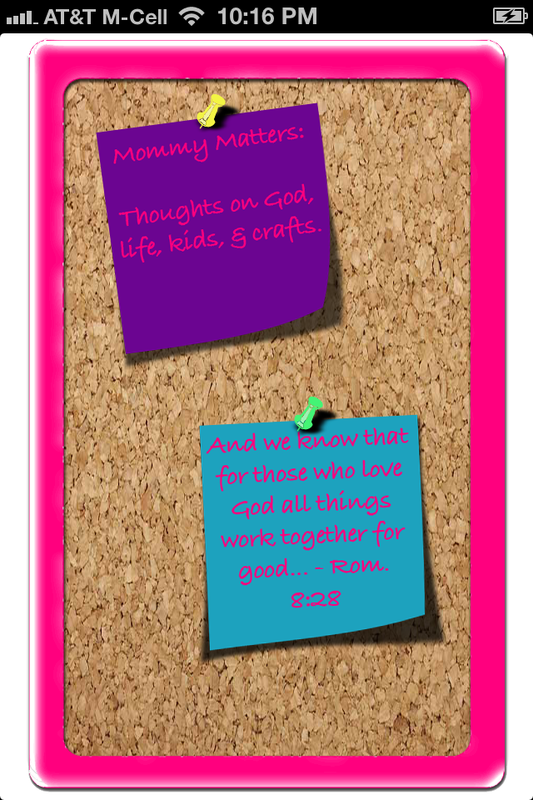 First of all, I have changed the name of the blog to Mommy Matters. I did this for a couple of reasons. #1, the blog has become a lot more than just Pinterest related articles. I felt like changing the name up would allow me to be a little broader on my topics. #2, my little brother made an app for my blog!!!!!!! Hopefully that will work. It wasn’t showing up in the “search” area earlier, but this should get you there. So, why should you download the app?? You can go back and read past articles very easily. 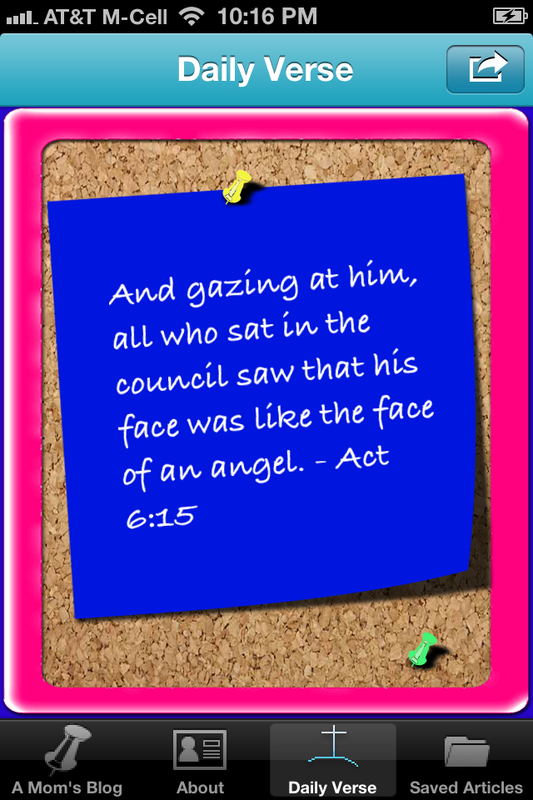 There is also a daily verse tab that you can click on the get a little inspiration every day. And, the app is FREE!!!! So, why not go ahead and download it??? It is only available for the iPhone…sorry Android readers :(. My brother only develops for Apple. You can also check out the apps he’s developed so far by searching under his name “Tyler Brassfield” in the App Store. He does great work (maybe I’m biased) & he’s very reasonable in his pricing. So, I hope you all enjoy using the app. 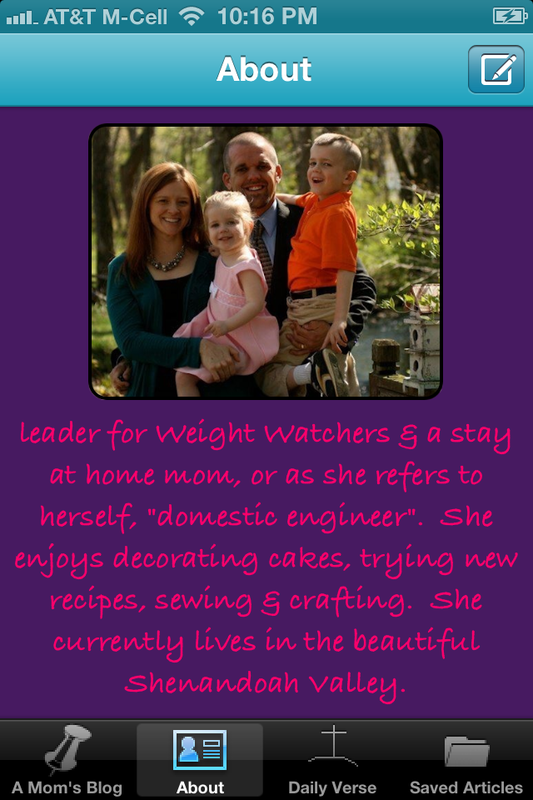 I look forward to writing many more articles for “Mommy Matters”!! !